I recently returned from serving in the Japan Tokyo Mission. What an experience. There aren’t enough words to describe the feelings I have and the lessons I learned. But there is one lesson learned that has affected me the most. 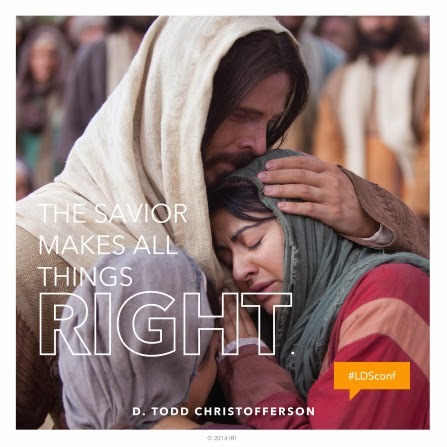 Our Savior, Jesus Christ, lives, and His atonement is real. Before I had the opportunity to serve a mission, I knew what the atonement was, but I didn’t really understand what it all meant, and how it applied to me. I could always give the primary answers, and I knew some scriptures that talked about it, but I had never truly applied it to my life. I don’t mean repentance, which I definitely have the experience of, but the often overlooked, strengthening power, or enabling power of the atonement. At the beginning of my mission, I read a scripture that I had read hundreds of times before, that took on a new meaning to me, it helped me begin to understand the enabling power of the atonement, and I adopted it as my mission scriptures. It’s 1 Nephi 3:7. It reads “And it came to pass that I Nephi said unto my father: I will go and do the things which the Lord has commanded, for I know that the Lord giveth no commandments unto the children of men, save He shall prepare a way for them that they may accomplish the thing which he commanded them.” The more I studied, and the longer I was out on my mission, I realized that on my own, I couldn’t do this. I began to notice how truly weak I was, and how often I messed up. I realized that even though I wanted to “go and do” and “accomplish” the thing that I had been commanded, that I couldn’t do it. I began to question where the prepared way was. I began to wonder where the miracles were. Why wasn’t I fluent in Japanese yet? Why were so many people turning us away? What more could I do? Why do I feel like I’m failing, even though I’m trying? I remember asking myself these questions, over and over, and then I realized that I didn’t have to do this alone. He didn’t call me on a mission to see what I could do by myself. He didn’t call me to see how gifted, talented, or smart I was. He called me, to do my best, and to help me realize that the way had already been prepared. That the power to do hard things, the power to overcome all my trials, had already been provided. I just needed to ask for it, and trust it. It was then that I began to realize that the prepared way, was my Savior, Jesus Christ, and the power to do this, was through Him and His atonement. He knows we are weak. He already knows we will make mistakes, and that we just aren’t quite good enough on our own. But that’s not the point. The point is, that through Him, we can. That because of His atonement, we will be able to accomplish EVERYTHING the Lord would have us do. Through His atonement we can OVERCOME any trial, any challenge. He has given us the power to go and do. We just need to trust Him. I just needed to realize that I didn’t have to be perfect at everything I attempted, that I just needed to do my best, and trust Him to carry me the rest of the way. I’m still learning this lesson. I think this is a lesson, that I will continue to learn for the rest of my life. But I can now say, without any doubt that Christ lives. And because He lives, we can live. Because He willingly atoned for us, we not only have the power to repent and become better, but He has given us the power to accomplish everything that is required of us. I’m so grateful for my Savior, and the love and support that He gives me. I know that through Him, we can do all things. In the name of Jesus Christ, Amen.